Landon Reed is a ex-con who found faith while in prison and ha decided to help others out in similar situations to his by becoming a criminal defense lawyer. If only he can get the chance to prove that he has had a change of heart. Pounding the pavement for a law firm that will accept him, he finally gets a chance to work for Harry McNaughton, one of the partners at McNaughton and Clay, a notorious criminal defense law firm in the area. Harry is more than willing to give people a chance and puts Landon right to work learning the ropes. When his mentor winds up dead shortly after Landon starts working for the firm, the remaining partners are left wondering if it was a random crime or has to do with one of their cases. As two more lawyers at the firm perish in a plane crash, Landon and the remaining lawyer are left to put the pieces together and see if they can figure out the mystery before the murderer takes out the rest of McNaughton and Clay. While I enjoyed the mystery side of the story, and the overall theme of redemption that the story has, I have to say that I am not a fan of how marriage was treated. Marriage really isn't put in a positive light throughout the story. I know that marriage it hard, but it would of been nice to have one of the marriages in this story not deal with affair, mistrust, or dysfunction. To me, it seemed like marriage wasn't viewed as a covenant. It wasn't much different from a secular novel. The mystery side of things was interesting, and the law side of the story managed to be informative without bogging down the story to much. If you are a fan of legal mysteries, then check out Dead Lawyers Tell No Tales! The last couple of weeks, when it has become more noticeable, I would say more in the front, so a point for boy. I should throw this out, since I am not having twins and yet crave salty foods and fruits. I can't stand the smell of red meat, especially when it is cooking, but I have craved ice cream, so this would count as another point for the baby being a girl. I haven't had a lot, by most standards, but I have had a lot of nausea. I don't know who I would give that to. Total: 4 for a boy and 5 for a girl. "Thou shalt embrace Singledom and be unbelievably, inconceivably happy" is Kate's creed for the year, yet who is she fooling? The moment she meets Dr. Clive Alexander, her creed is tested. Until he agrees with her friend's comment about Kate's lack in the looks department. When she is picked to participate in a makeover that puts her in the hands of Michael Palmier, she figures that her problems are solved. But is her outward appearance really what she should be putting so much time into maintaining? This is the first book I have read by Tamara Leigh, and I have to say that I found it enjoyable. There is a lot going on with the story, and you can't help but fall in love with Kate as she seeks to figure out how perfecting herself fits in God's plan for her life. I particularly enjoyed the scriptures that tied into the story and how Kate keeps a prayer journal throughout the story, which gives the reader more insight into who she is as a character. Perfecting Kate makes a wonderful, light, summer read! Drew Farthering enjoys a good Agatha Christie mystery now and then. When one of his mother's parties turns into a murder mystery like one out of Christie's books, Drew, his friend Nick, and a beautiful American visitor set about to figure out what is going on with the company he inherited from his father. Equipped with Father Knox's ten commandments () they figure that solving the mystery will be easy. But, is life really limited to these rules? Being a great fan of many of the classic mysteries written in the 1930's, I found this book to be a delightful addition to my collection! The mystery is full of fantastic turns and unexpected findings, not to mention brilliantly written characters. A must for those who enjoy a good mystery! Thalli has been taught from a young age that being different, an anomaly, in the State is something to hide. The Scientists who created her world, after a nuclear war decades before wiped out much of the country's population, have deemed emotions and asking questions as part of the problem that caused the war. When it is discovered that Thalli is different, her world unravels, leaving her with fifteen minutes and twenty three seconds to live. It took me a bit to get into this story, but I eventually fell in love with the characters and the world created for them. 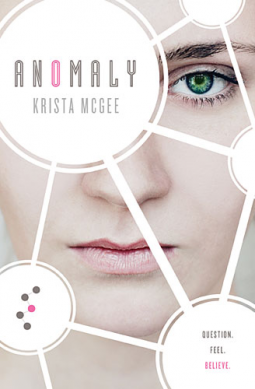 Filled with unexpected twists and turns, Anomoly is a refreshing piece of dystopian fiction, since it doesn't try to be The Hunger Games, but rather creates a unique world all of its own. I highly recommend this one! 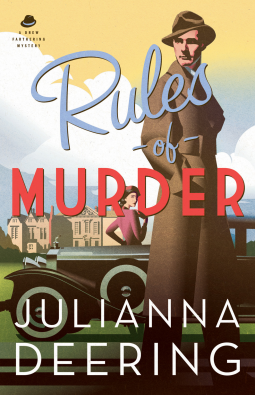 Mollie Knox loves her predictable life as the owner and accountant of the 57th Illinois Watch Company. She feels like her life is fulfilled in doing bookwork and providing jobs for her father's Civil War buddies who were left without work after various injuries. When Zach Kazmarek waltzes in with an offer to buy the watch company for more money than Mollie thought possible, her lawyer can't help but be a bit suspicious. When the great Chicago fire of 1871 strikes, nothing is left the same. Most of us have heard about the Chicago fire (think back to the campfire song about Mrs. O'Leery's cow starting the fire, which is a sad rumor that turned the real Mrs. O'Leery into a recluse), but this book filled in more of the details that you never think to ask. It was amazing to read just how many people were misplaced due to the devastating fire and how they lived in the months following the fire. Also, something I found interesting with owning a small business, it was fascinating to read what happened to business' and local insurance companies when the fire destroyed most companies. This novel is a fabulous tale of interesting facts told through a fictitious character. Once I got over being kind of annoyed with Mollie's attitude after the fire, I fell in love with the story! Another winner by Elizabeth Camden. *I was given a review copy in exchange for my unbiased opinion. Tish didn't intend to buy her family's historical home in Noble, Alabama when she stopped in to look at in on the way home from a trip to Florida. Thinking the town will welcome her with open arms, she soon discovers that the new life she hoped for is not all that she imagined. Old grudges still exists and the fact that Tish is a Northerner doesn't endear her. When Mel Hamilton stumbles back into town, worse for wear, she and Tish form a unlikely friendship as the two outcasts of Noble. A beautiful story of second chances and forgiveness, prodigals returning and living your faith. I fell in love with the characters of Gone South from the get go! Masterfully told, this novel will hold your attention through to the final page!